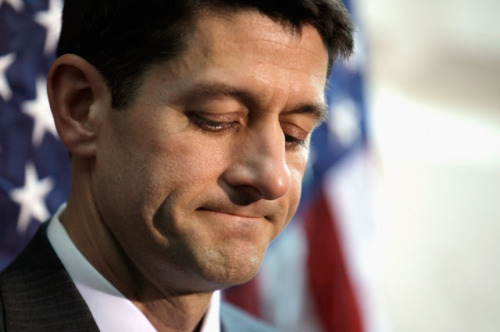 Paul Ryan has to do better if he expects conservative support. The omnibus spending bill now being prepared is no exception. While Democrats are digging in their heels and vowing to vote against the package if they don’t like it, Republicans have already signalled their utter unwillingness to insist upon… well, anything. The omnibus bill,like so many before it, was hastily thrown together behind closed doors without adequate input from rank and file members -exactly the process Ryan pledged to change as Speaker. He not demanding the inclusion of any policies that conservatives really care about, such as blocking funding for the ObamaCare insurance company bailouts or rolling back green energy subsidies. Instead, leadership is using as “bargaining chips” provisions that could probably have garnered enough Democratic votes to pass anyway, such as making certain tax credits permanent. Demanding something the other side already wants in exchange for extremely bad policy is not, nor has it ever been, a winning negotiating strategy. Democrats are prepared to shut down the government if they don’t get what they want. President Obama is prepared to veto the bill if he doesn’t like it. Republicans are not only unprepared to do anything, but they’ve publically admitted as much. This is the equivalent of walking into a car dealership and immediately offering to pay full sticker price. You just don’t do it. If conservatives are ever going to win any policy battles, they have to stop tipping their hands to their legislative opponents. It can certainly be prudent to pick your battles, but you shouldn’t let the other side know when you’ve decided not to fight or else they will walk all over you, as the Democrats have been walking all over the Republicans despite the latter holding a majority in both houses of Congress. This time, Ryan has the somewhat legitimate excuse of having to clean up after Boehner’s messes, but next year, he will have a clean slate. If we don’t see some major improvements from the new Speaker early next year, he’s going to face the same resistance from his own party that ultimately forced John Boehner out of office.